The idea that a man who was just arrested on domestic violence charges and fired by his current company could find himself employed within the matter of days is foreign to most in the world. This is especially true in the current climate that has helped women overcome a machismo culture that had in the past ignored the plight of domestic and sexual violence in the United States and around the world. As has been proven over and over again throughout the years, the NFL (and the broader sports world) is a foreign entity when it comes to this. Talent and the ability to help your company (in this case team) far supersedes character. The Reuben Foster situation is yet another example of this. Waived by the San Francisco 49ers early Sunday morning — mere hours after being arrested on domestic violence charges — Foster was claimed off waivers by the Washington Redskins on Tuesday. It’s not that we’re going to step back and say Foster is guilty until proven innocent. That’s not the way it works in the American justice system. But it’s the system double standards in the NFL that we must focus on here. We’re talking about a league that has continually said players are guilty until proven innocent. Not even charged with domestic violence stemming from an alleged incident with his ex-girlfriend, Dallas Cowboys running back Ezekiel Elliott was suspended six games last season. How can the league then justify its willingness to let Foster find employment after a second domestic violence allegation since he entered the NFL as a rookie first-round pick last year? Add in gun possession and marijuana possession charges, and this question is taken to a whole new level. Former NFL Media employee Adam Schefter initially broke news on Tuesday indicating that the Cleveland Browns were the team that claimed Foster off waivers. He quickly backtracked on social media — a clear indication that the league didn’t want said report to go public. A substantial amount of time passed before it was known that the Redskins did in fact pick up Foster. It’s clear what was happening behind the scenes here. The NFL wanted to get all of its PR ducks in a row before the inevitability of bad optics reared its ugly head. That’s one of the largest issues here. Headed by Roger Goodell, the league’s brass in New York City has been all about optics under the misguided umbrella of protecting the shield. It’s not about protecting women in this country or setting an example. It’s all about the most powerful sports league in North America protecting its multi-billion dollar bottom line. It’s a story we’ve seen repeated over and over again throughout the history of the league. 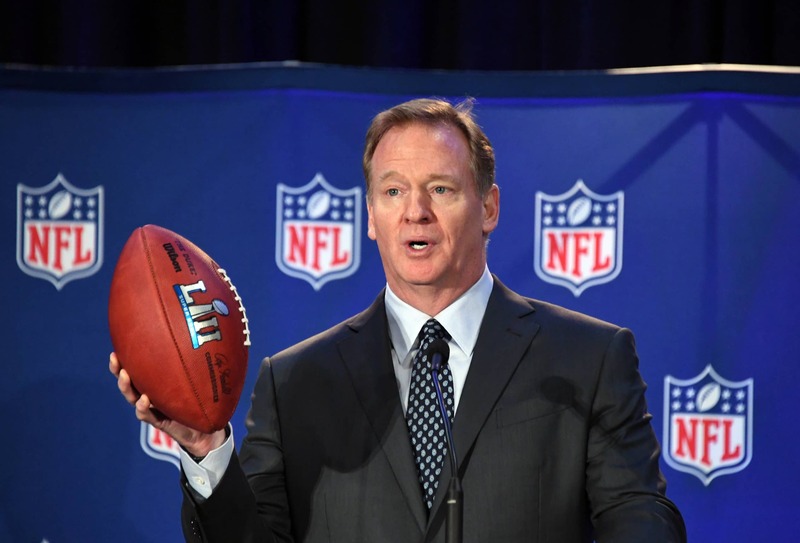 Whether we’re talking about the entire Ray Rice fiasco or Adrian Paterson’s alleged abuse of his son, the NFL has failed to even consider itself a moral guide at a time when the league needs to snuff out the off-field issues that continues to plague it. This isn’t new. This isn’t limited solely to Roger Goodell’s commissionership or the past couple years. The league and its teams continue to treat Hall of Fame running back Jim Brown like royalty. Sure time cures most ills, but Brown’s rap sheet relating to alleged domestic violence reads like a War and Peace novel. Society itself advances. Generations move along with a more liberal narrative that changes the societal make up of a people. This has been the case since the United States and other civilized nations were formed. But the NFL and the larger sports world continues to fall behind. At a time when the NFL finds itself at odds with the federal government in D.C. over protests and other political subject matters, the league finds itself on rare footing. There’s no downtick in popularity relating to the league. Instead, the NFL continues to prove itself to be the top sports entity in North America. It’s huge on social media. Sunday remains an unofficial national holiday. But in the end, it’s not going to be political polarization that brings this league down. It’s either going to be the NFL’s lackluster handling of brain-related trauma and CTE or its unwillingness to go from an archaic organism in which rules of yesteryear remain the law of the gridiron land. The Foster situation is more illustrative of this than anything else over the past couple years. And while the NFL season comes to its conclusion, the backdrop here is a league that continues to get in its own way. That’s the sad reality of the situation in a story that tells women that their plight and victimization continues to play second fiddle — whether said victimization is alleged or proven.